Want to be hired by Queen? Queen City Petsitting, a premier local company established in 2009 is currently hiring dog walkers / pet sitters who can provide pet care in Charlotte. 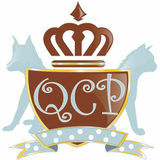 We are currently accepting applications on the Queen City Petsitting Website. If you can't see the link below type Queen City Petsitting into google. Go to that site. Then Go to the 'About us link' on the top and then click Join Our Team. Dog Walkers / Pet Sitters are needed In Uptown, Dilworth, Plaza Midwood, Myers Park, Park Road area, SouthPark, South Charlotte, Ballantyne and Matthews. Regarding Visits and Schedule, We are looking for pet sitters who are fully available for at least 1 of the 4 options below. Dog walks ALL Five Weekdays, Monday - Friday during lunch-time hours typically between (11 a.m. - 2 p.m.). Please note If you can do Weekday Morning & Evening Walks too, let us know. But it must be for All 5 days. The sitter would stay at the clients home overnight (typically 9:30pm-7am). This could be during the week or also weekends. In addition to the overnight one mid-day visit is generally needed. This job is part-time, with the potential for full-time. We would prefer sitters be available for at least 5 jobs a month. You can find the application on the Queen City Petsitting Website. If you can't see the link above type Queen City Petsitting into google. Go to that site. Then Go to the 'About us link' on the top and then click Join Our Team. 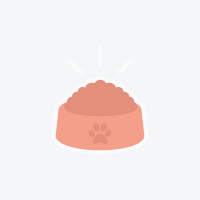 Need someone to feed and walk our dog and just feed the cat 2 times a day (Morning and Evening) while we're out of town.